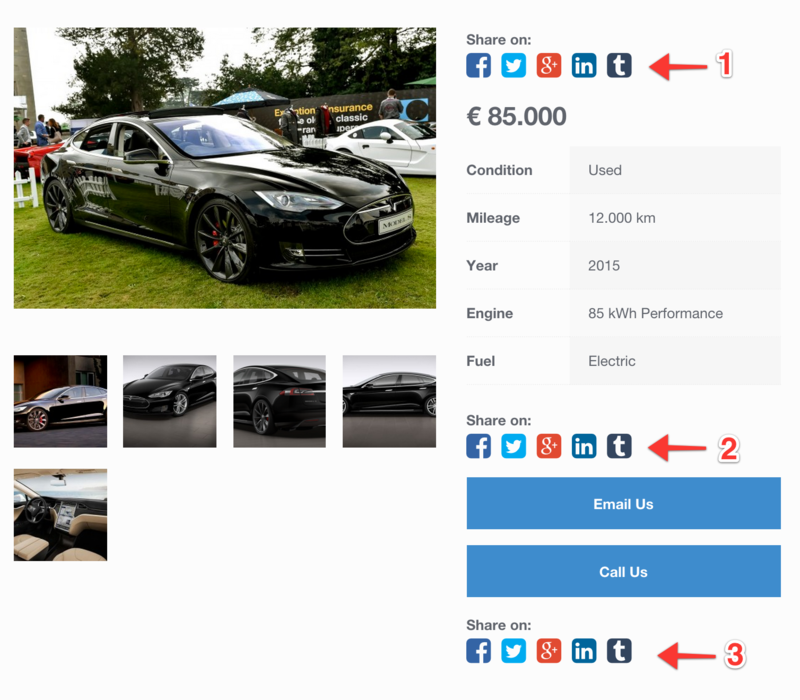 The social sharing buttons can be added to 3 different locations on your vehicle detail page. The screenshot below demonstrates where the buttons would be places on these locations. You can disable sharing buttons for specific social platforms by deselecting that platform via the Share This tab in your plugin’s settings page.